BRYAN EATON/Staff Photo. 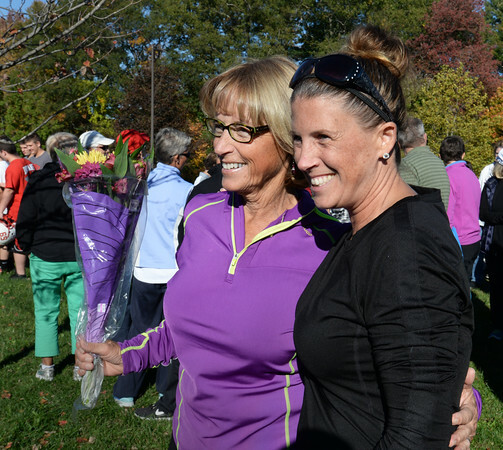 Retired Amesbury High field hockey coach Gail Kelleher, left, poses with present day coach Bethany Noseworthy, who was her assistant for seven years. The field was officially dedicated in Kelleher's name yesterday ahead of last night's Sports Hall of Fame induction where she was one of nine named.